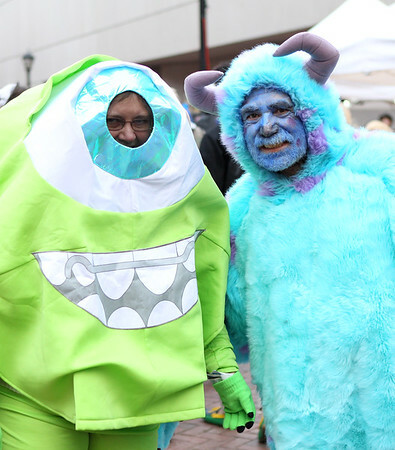 Naomi Church, left, and Neil Burr, dressed as Mike and Sully from Monsters Inc. posed for photos along the Essex Street pedestrian mall on Friday afternoon. DAVID LE/Staff photo. 10/31/14.